North facade from East 126th Street. Facade installation is ongoing at Blumenfeld Development Group's 11-story rental building at East 126th Street in East Harlem. 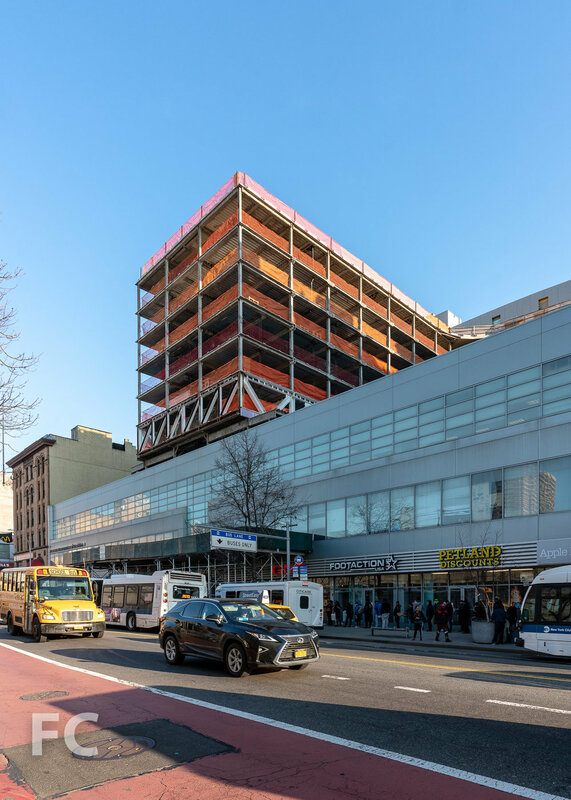 Bjarke Ingels Group (BIG) is in charge of the design, which features a 11-story volume fronting East 126th Street and a six-story volume that extends over the center of BDG's existing retail building on the adjacent lot fronting East 125th Street. 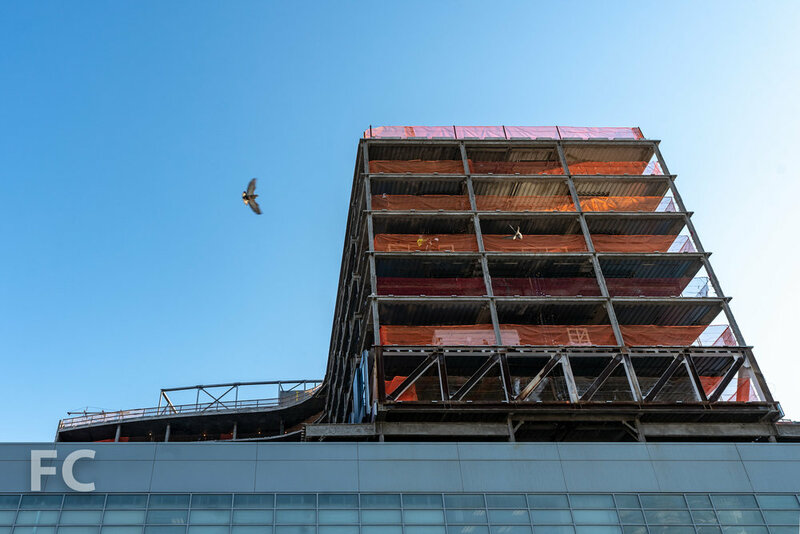 Along East 126th Street, the north facade gently slopes inward as it rises, creating a concave shape that contrasts with the hard street edge of neighboring buildings while allowing more sunlight to reach the street. The north facade is being clad in slender windows and blackened stainless steel panels that alter in color tone as they reflect the sunlight. The checkerboard pattern of the north facade also allows for floor to ceiling glazing in apartment units. Looking up at the north facade. Closeup of the facade panels. Once completed, the rental building will offer 233 apartments in a mix of studios, one-, and two-bedrooms, with twenty percent of the units offered under the affordable housing program. Amenities for residents will include a fitness center, lounge, workspace, and a rooftop terrace with a pool and landscaping. Southwest corner from East 125th Street. Closeup of the southwest corner. Looking up at the south facade from East 125th Street. Southeast corner from East 125th Street. Architect: Bjarke Ingels Group (BIG); Developer: Blumenfeld Development Group (BDG); Program: Residential, Retail; Location: East Harlem, New York, NY; Completion: 2019.